The expat life is one of adventure, discovery, glamour and … bumbling social ineptitude. And so for the September edition of NorthSouthEastWest: Expat Dispatches, our ongoing guest-post project, our four expat bloggers are divulging their most embarrassing expat moments. Yours Truly of Adventures in Expatland (North) will demonstrate that a small vowel can cause big problems. Russell, who blogs at In Search of a Life Less Ordinary (South), discovers that wherever you are in the world, people enjoy a good laugh at the newbie’s expense. Erica of Expatria,Baby (East) writes of disastrous first impressions that last and last and last. 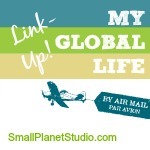 And finally, Maria who blogs at I Was an Expat Wife, reveals how her expat mantra of “try new things” led her astray. I hope that you enjoy this month’s post by Russell here on this site, and please do check out all of the other posts. (I’m over at Maria’s Western site, in Canada.) There are many, many laughs to be had! Sometimes expat life can be far too serious. Homesickness this, isolation that. Hard to fit in, impossible to give up. It’s enough to drive any normal person insane. But there is a lighter side to this life. Does it involve funny moments? Yes. Can it be embarrassing? Often. Is it at my expense? Always. just a painfully awkward moment when I stick my size 10 boot right in it. Whatever the reason, the outcome is always the same. A red face, eyes cast downwards, and a pressing need to be swallowed up by the nearest hole in the ground. staying at his house, using it as a kind of half-way home – in other words, I was in need of my own space, bored, and generally annoying the crap out of him. The gym would be a welcome break for us both. 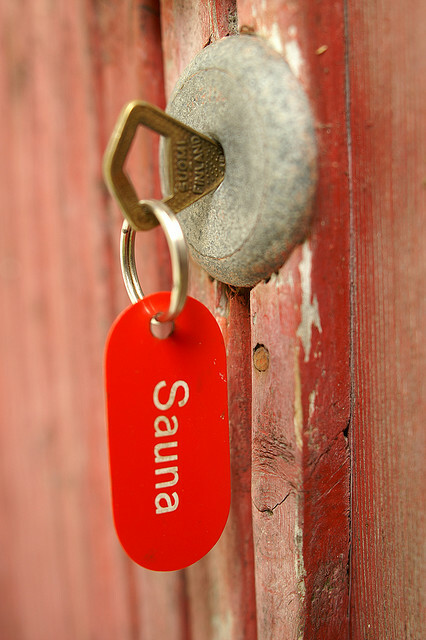 Let’s take a traditional Canadian sauna, he suggested after our low intensity, Sunday afternoon workout. Sure, I said, having enjoyed this kind of thing many a time in the UK but silently wondering how a Canadian sauna differed (same heat, different country?). In the changing rooms, he told me I needed to strip off. Completely. This, he said, was the Canadian way of “taking a sauna”. Strange, I thought, wondering what the hell was going down in the nation’s many steam rooms and spa baths. Was this even legal? But, sure, I said. Let’s do this the Canadian way. Naked. Suitably ‘sans clothes’ and trying (but failing) to cover my modesty, I made my way through the changing room, attracting second looks from a couple of my male counterparts. Jealousy is all, I assured myself. I’ve still got it, I noted far too confidently. Unperturbed, I entered the sauna to find a room full of appropriately clothed Canadians, including my appropriately clothed Canadian buddy sat in the far corner smiling inappropriately from ear to ear. What the ****? I squeaked out from behind my small hand towel. Welcome to Canada, he grinned, and have a nice day. By the way, have you met my Canadian friend? He’s the comedian. Fast forward to Australia and thankfully there have been no naked saunas. But there has been a pair of rather embarrassing Italians. large numbers wearing them on the beaches of Greece and Spain so I promptly christened them “my pair of little Italians”. Them and I went everywhere together in the holiday resorts of Europe. It was a decent, honest, working relationship. On my inaugural visit to Australia, call it a fact-finding trip if you will, I had the opportunity to meet my future wife’s good friends for the first time and combine this with a visit to the legendary Aussie beach. sun cream at the ready. It can be quite an intimidating place for the first-timer. With this in the back of my mind, I stripped down to my swimwear and jogged over to the water’s edge. For reasons unknown to me at the time, the hairs on the back of my neck began to stand up. I had that unnatural feeling of being watched by large numbers of people. English guy wearing tight Lycra shorts stumble down to the surf. I was not to be deterred. As the beach dwellers looked on, I jumped into the water, proud of my ability to ignore their laughter and assured that these nay sayers would eventually be converted to the way of the ‘little Italians’. After diving down to the bottom of the four foot shallows, I shot up out of the ocean like the bronzed, athletic Adonis that I wanted to be, but was so obviously not. Much to my abject horror, the Italians were long gone, and so was my modesty. Again. How embarrassing. Russell VJ Ward is a British expat living on Sydney’s Northern Beaches in Australia. He lived in the UK, before emigrating to Canada (Vancouver and Ottawa), then most recently to Sydney, Australia (his wife’s home city). Read more about his expat search for a life less ordinary at www.insearchofalifelessordinary.com. He can also be followed on Twitter at twitter.com/russellvjward. Hahahahahaha….reading this, I found myself, as a Canadian, wondering, What on Earth is a Canadian Sauna? And I’m a Canadian. 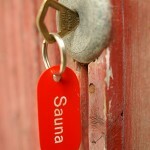 Who regularly saunas! Guess I’m a ripe target for antics such as these! This also reminds me of being 20 and in a Hammam in Tunisia. Naked. My 2 friends and I were the only foreigners there. Lets just say that we were on the receiving end of much pointing and giggling. And my fragile 20 year-old sensibilities found this all too much to bear. Honestly I could not stop laughing last night as I re-read all four stories while re-checking links. I love how Russell was able to ‘own’ his European swimsuit – that had to be a tough Aussie crowd! As for you and your Tunisian Hammam, all I can say is if I were to write ‘naked’ and ‘sauna’ in the same sentence, I’d want to be 20, too! Tough wasn’t the word. Brutal would be more adequate. Those Aussies flayed me with their laughs as I retreated into the sanctity of my ocean… only to then get back to the very bare basics. Russell you’re not referring to ‘budgie smugglers’ are you? Kym – not budgie smugglers, heaven forbid. Even I, with my pasty English tones could not get away with those. No, these are like tight Lycra boxer shorts that can be worn into the water. I don’t think the Southern Hemisphere had ever set eyes on them before I arrived. Now, I do spot the occasional ‘Italian’ cruising the sand (could he be an actual Italian though?)…. You’ll have to add ‘fashionisto’ to your CV! Russsell, I feel your pain. I once made a spur-of-the-moment decision to have a massage on a beach in Thailand. Everything was going swimmingly until the massage mama indicated I should roll onto my back. It was at that moment that I realized I’d left my bikini top back in the hotel room. Unfortunately for me (and my fellow beach-goers), she wouldn’t take no for an answer. I left my modesty on that beach in Phuket that day. You made me laugh aloud! Reveal my religion? Hahaha. Love it. Totally agree with you regarding the over 30 thing. The Italians continue to be worn but now I choose to wear them ‘under’ my Australian regulation boardshorts. Not only do I still feel the divine pleasure of Lycra (did I just say that out loud?) but they also act as insurance in case the boardies are ever swept out to sea. Aaahhhh, leave him alone you two! He’s a”very special boy!” Lol!! Seriously though, great posts guys. Funny how agonising someone having the “wrong” opinion of us can be, so much so that we can all relate to it and collectively wince as we read about the event. And it certainly makes for entertaining reading! Oi, enough of the ‘special’, young lady! Okay, I’ll admit my tastes in swimwear and choice of sauna buddy are poor but I still laugh out loud when I think back. What’s that old policy? Oh yes: ‘No refunds, no returns’. Keep laughing Russell, just keep laughing! Caveat emptor eh? Haven’t we all been there! Well thank you! So glad you like them. It’s fun having four different perspectives, isn’t it? Thanks, Windmilltales. 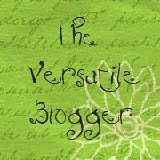 You can thank the author of this blog for starting this four-way blogathon. Believe me, I thank her very loudly each time the deadline for posting comes around and surprises me! Hey, watch what you say there. I can hear you in Oz all the way over here in Nederland!